If you are at PAX West this weekend, come check out Gatekeeper’s Challenge, a FREE 10-minute mini-escape room adaptation of The Maze of Games puzzle novel. We are on the 2nd floor of WSCC, around the corner from Room 208. 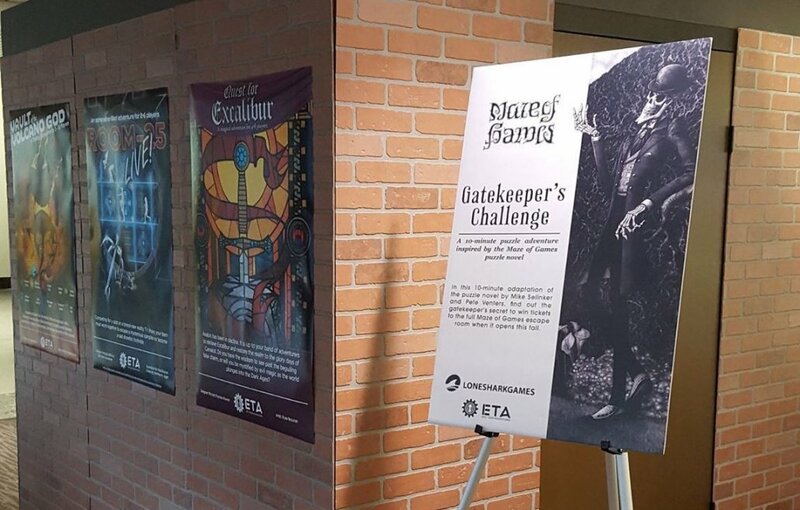 Anyone completing the challenge within 10 minutes will be entered into a daily drawing to win a free ticket to The Maze of Games: A Curiouser Heart adventure at ETA this fall.